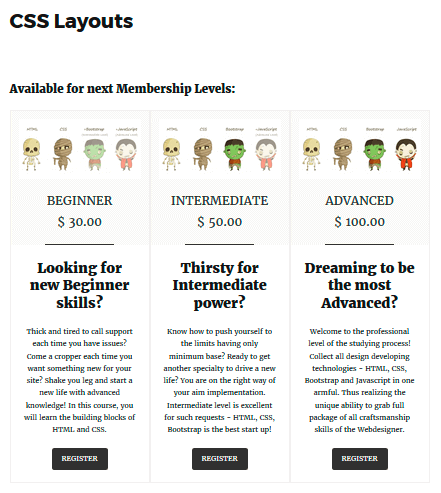 Create membership levels if you plan to have restricted area or paid content on your website. You can set up limits and permissions for users of different levels and configure the conditions for membership level upgrade. 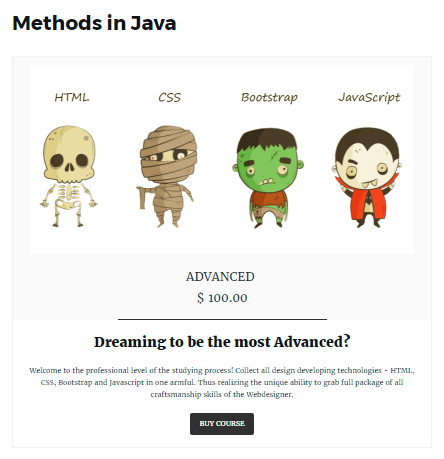 Once you decide to use Membership levels feature your membership users will be motivated to get upgraded membership status in order to have more access within your website. 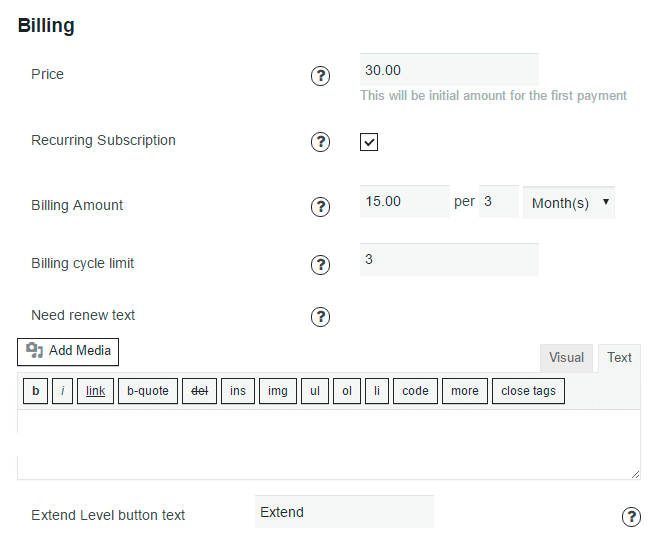 Enable Recurring Subscription for level content. Set up the Recurring Billing instead of one-time content fee. 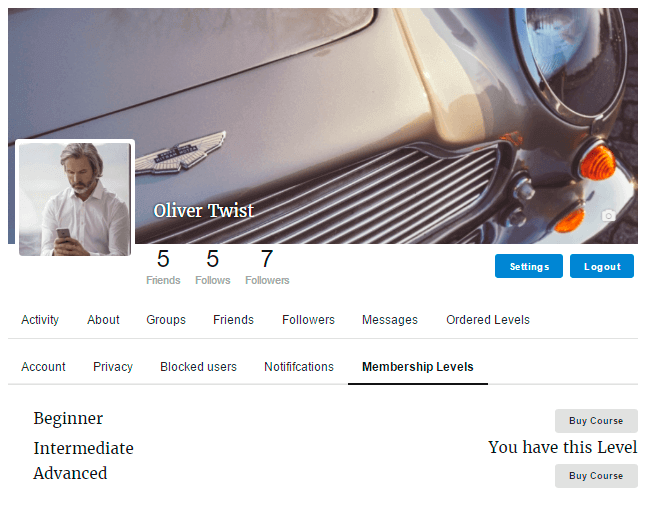 Configure Content Settings of your Membership level. Specify post categories or specific pages/posts for paid content. When user opens any of choosen here posts, he will not see it’s content until make a purchase for Membership level. 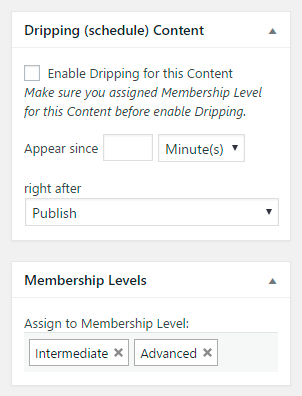 Enable Dripping Content. 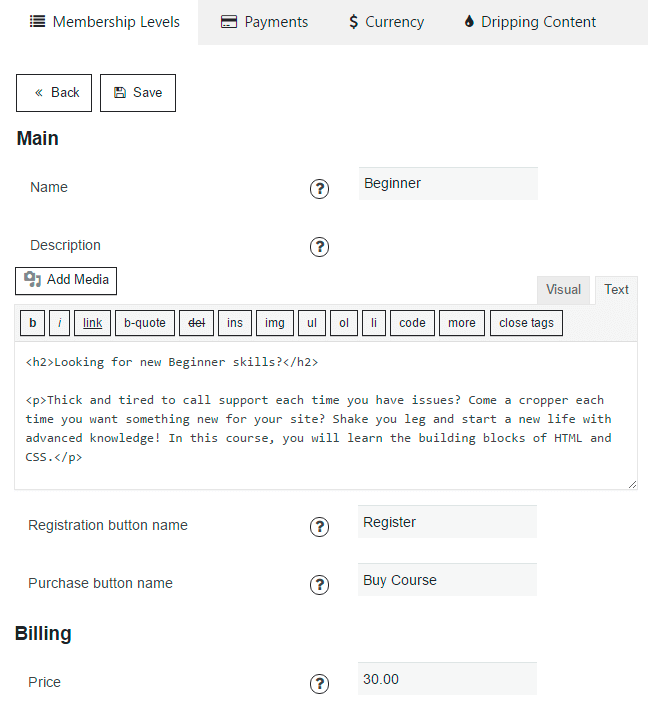 Make the schedule of your membership level content and release the content with regular intervals. Read more..